One possibility could be electric gauze. NASA is working on the new technology and early results are showing promise for athletes on Earth. 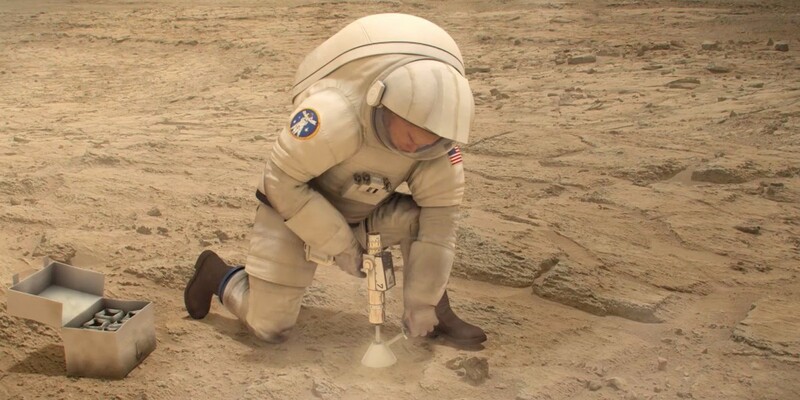 As for our future Mars astronauts, in different gravities blood behavior can change, so there's no firm word yet on if this will work on other planets. "What's unique about this material is that it's electroactive -- meaning that if you warm it up, if you push on it, if you apply any load on it, even if you just blow on it -- it actually generates voltage," Siochi added. And yes, body temperature is enough to activate it, helping to bond wounds. NASA created a process to apply voltage as the polymer is ejected from a syringe. This creates a fiber. If the fibers are aligned correctly, cells on a wound use it as a scaffold, helping the wound to heal faster, early research shows. One easy way of aligning them would be to put them in a gauze or bandage, which also protects the wound to reduce infection, Siochi said.